Since the end of the 19th century, ‘behaviour’ has become an almost self-evident topos in anthropological discourses of almost any discipline, from philosophy, biology and sociology to ethnology and economics. Concepts of behaviour often serve as tools for predicting the future and preventing danger. However, an analysis of the respective historical conditions for this knowledge of behaviour as a descriptive category and determination of the living has not yet been carried out. An initial investigation towards a history of knowledge and cultural history of behaviour is concerned with the field of discourse on behaviour in the 1950s and 1960s. The PhD project focuses on a paradigmatic ‘scene of writing and observing’ behaviour, in which the disciplinary potential of knowledge about behaviour, its socio-political brisance, and its conditionality through material cultures and media procedures emerge in an original manner. 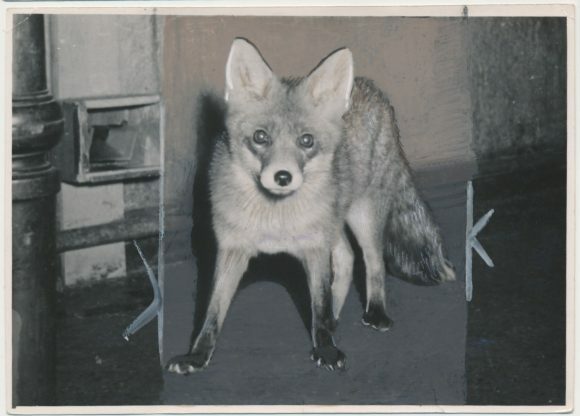 The study is based on the scientific legacy of the East German behavioural biologist Günter Tembrock (1918–2011), who conducted behavioural studies on red foxes between 1948 and 1968 in the working spaces and outdoor enclosures of the Zoological Institute on today’s site of the Natural History Museum in Berlin. Along with an analysis rooted in cultural and media studies of the material culture of behavioural experiments on zoo animals and found animals in the institute’s workspaces, the project also deals with the explosive scientific-political context of behavioural science in the GDR and the anthropological consequences of Tembrock’s theses against the background of socio-political debates in the SED dictatorship and the Cold War. In addition, the study is devoted to the difficulty of writing – between perception and text and between politics and biology – which in Tembrock’s case was at times reflected in fictional texts. The doctoral project is based on literature from biology, psychology, cultural studies, history of literature, media and knowledge. In addition, it essentially processes sources (written material, photographs, films and audio documents) from the as yet untapped estate of Günter Tembrock, which is now kept in the rooms of the Natural History Museum Berlin.